Meet the East Side Gallery! 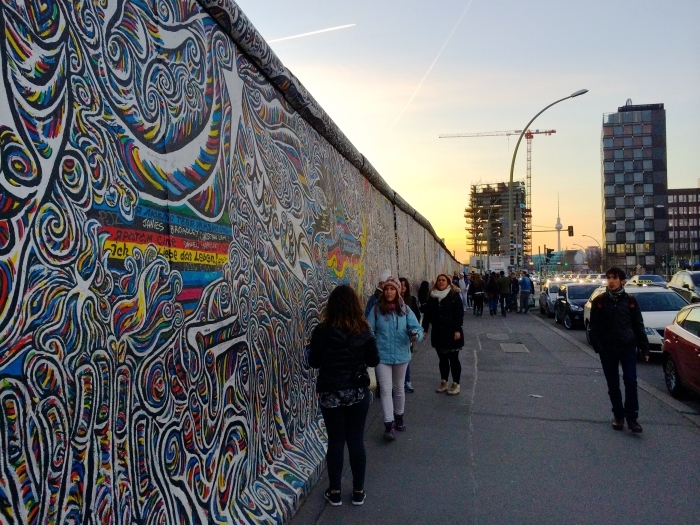 What once was the Berlin Wall is now one of the greatest works of art of all time. A piece of art that is bigger than time. „Die Mauer muss weg!“ The famous battle cry of so many Berlin citizens at the end of the 1980s meaning nothing less than „The wall has to go!“ And this is exactly what happened. The Berlin Wall came down in 1989. But not all of it, a small part along the river Spree is still standing to this day. More specifically a part between Berlin Ostbahnhof and the Oberbaumbrücke: the so called East Side Gallery.